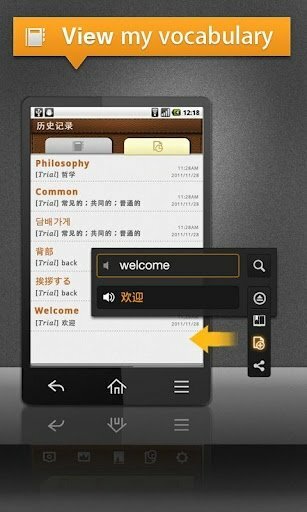 CamDictionary for Android is a real-time translation application that will help you to get out of a tight spot when faced by a text in a foreign language. 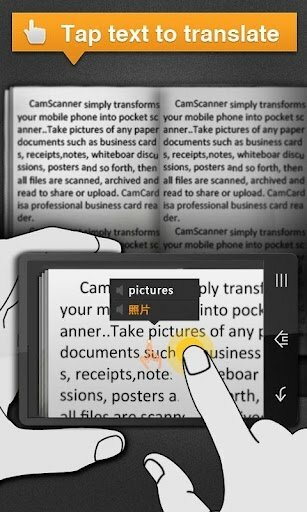 CamDictionary, by simply focusing the lens of your camera on the text that you want to understand in your language, allows you to translate texts almost instantly without any need to take photos or wait for the translation. 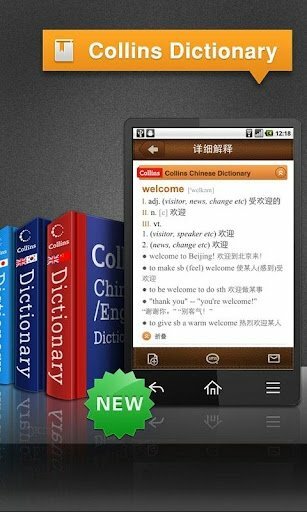 It supports the translation of up to thirty-six languages with the guarantee of the Collins dictionaries, that will be used to translate them. 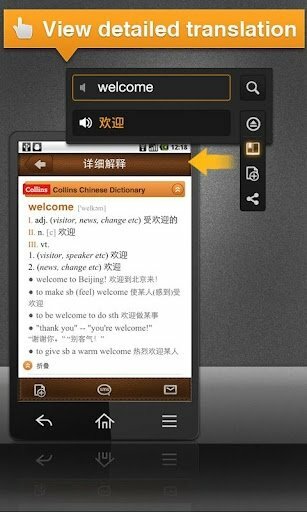 Looking up dictionaries when there isn't a network available as well as translating texts in photographs taken, selecting which words or sentences that appear are going to be translated, are some of its functions. 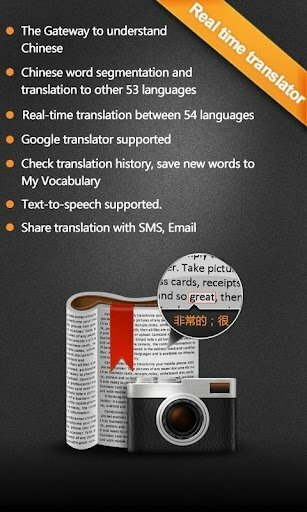 Efficient text recognition and translation tool. 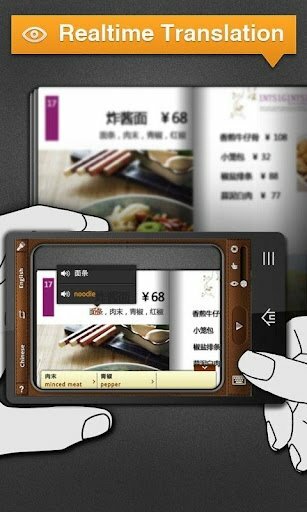 Text translation by means of phone camera recognition. 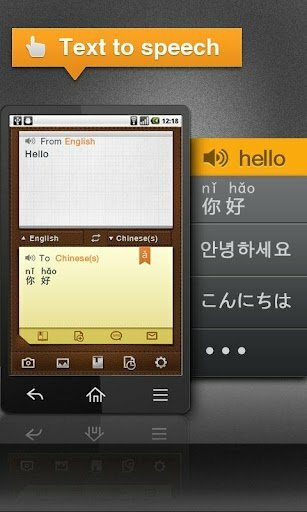 Download CamTranslator for Android and let it help you at work, in your studies, when travelling around the world or while enjoying your free time.